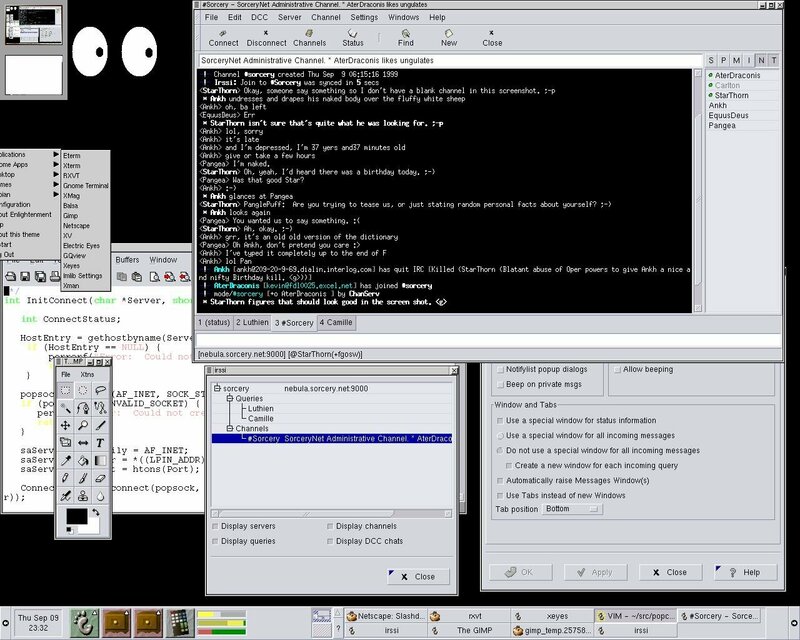 irssi is a text-based IRC client; it used to use Gtk+ and work with the GNOME panel. It uses quite a lot of yagIRC's code but the user interface is redesigned. It was originally written by Timo Sirainen, a@sicom.fi, the author of yagIRC.